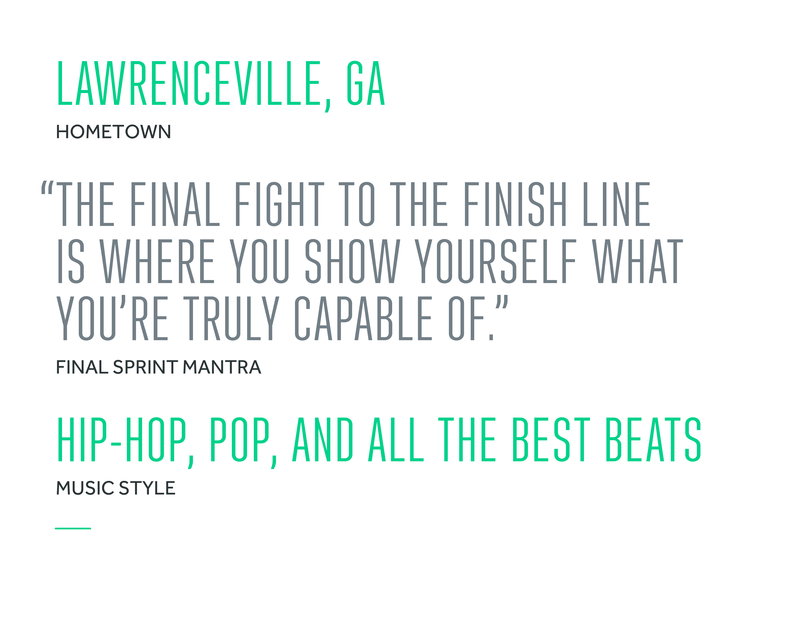 “SWERVE IS a home away from home where you ride to the beat of amazing music and sweat it out with your teammates. You come to ride for yourself, but always end up working harder for your team." With years of experience as a personal trainer and a former University of Georgia Cheerleader, motivating others is in her DNA. Garner's ride will have you sweating and smiling non-stop. You’ll get a taste of her Dirty South roots with hip-hop beats and little twang, mixed in with the best new songs.